Meeting point at the Forestiera’s large parking lot. 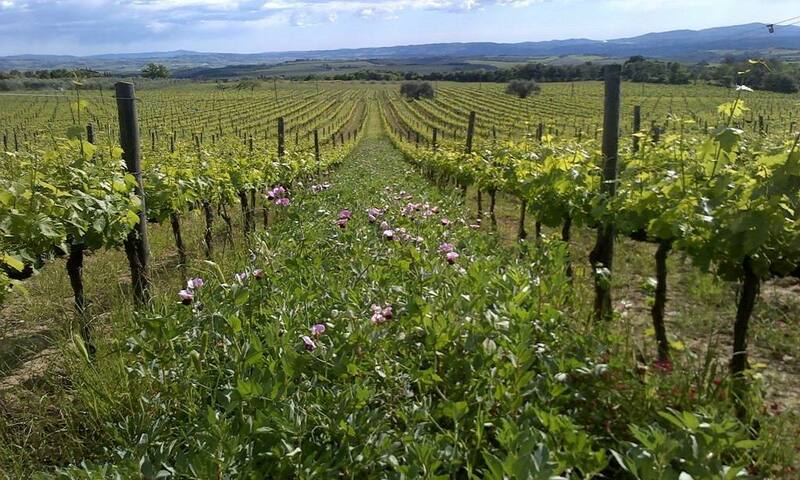 Our tour is an ideal option for those who would like to do a montalcino wine tasting. The activity is aimed at true wine enthusiasts and is part of the project ABFV (Alejandro Bulgheroni Family Vineyards) Italy, which Dievole proudly belongs to: an promising network of wineries located through the Chianti Classico area (in addition to Dievole, there is also the Certosa di Pontignano), Montalcino (Podere Brizio and Poggio Landi) and Bolgheri (Tenuta Le Colonne and Tenuta Meraviglia), three of the most important terroir in the wine world, representatives of the region of Tuscany, known internationally for the high quality of its wines and its unparalleled style. This tour brings you on a discovery of one of the most evocative parts of the Montalcino territory: our estate Podere Brizio. The enchanting hill on which the winery and its guestrooms sit is surrounded by olive groves and vineyards and faces the sea to the southwest. It is precisely the sea that our guests can catch a glimpse of off in the distance on a clear day from the windows in the tasting room. You can park your car in the ample Foresteria parking lot in the shade of towering oak trees that stand tall, proud and a little worn by time, with their twisted branches and knobby trunks. Our guide will accompany you to the herb garden opposite the Forestiera Podere Brizio guesthouse before taking you on a tour of our vineyards and introducing our company philosophy: a world in which we don’t simply produce wine but rather every single grape is experienced. As you walk the red, rich, living terrain, typical of this southwestern slope of the area around Montalcino, it becomes easy to understand how ideal this place is for our vineyards and for the sustainable production that we have applied since 2013 and for which we earned organic certification in 2016. In the visit to the wine cellar that follows, you can continue to explore our natural approach: you will learn how the grapes, once harvested, are fermented without the help of added chemicals, using only local yeasts in order to leave the natural flavour of the grape, the colours of the terrain and the richness of the air, with its seaside influences, unaltered. You will see how the wine at the Podere Brizio is aged in French large durmast barrels from Allier, which are not toasted, a prudent choice that aims to preserve the typical characteristics of the fruit, without modifying the flavour and freshness in any way. This exciting visit will be deservingly capped with a Brunello di Montalcino tasting in a private room, preceded by our Rosso di Montalcino DOC and ending with a taste of the Brunello di Montalcino Riserva DOCG. You will discover the freshness and harmony of the Rosso, the intensity and elegance of the Brunello and the class and energy of the Riserva di Brunello, falling forever in love. Something else that makes our tour one-of-a-kind amongst all the Montalcino wine tasting is the delicious finale: in the welcoming and refined setting of the Forestiera at Podere Brizio, you can taste the best of traditional Tuscan cuisine, skilfully prepared by the expert hands of our cook Anna, capable of leading your palates on a discovery of a world of long-forgotten flavours.